Being involved in a collision can be a very frustrating and trying time for you as you complete all the necessary steps to file and complete your claim and having alot of physical pain as you do. If you have sustained injuries from a motor vehicle accident it is important to begin treatment as soon as possible. This will decrease the healing time and recovery period and return you to your usual daily activities faster. Injuries caused from your involvement in a motor vehicle related accident can include; back, neck and jaw, shoulders, knees and many other parts of the body. You may experience discomfort and/or symptoms which can include headaches, dizziness and nausea and vomiting. If you have been involved in a motor vehicle accident it is important to report the accident to your insurance company (within 10 days) to allow the insurance company to start a claim for you and provide coverage of physiotherapy treatment fees. 1. See a Primary Health Care Practitioner (physiotherapist, medical doctor) as soon as possible for an assessment of your injury and, if needed, treatment advice. 2. File an injury accident report with the police. 3. Complete the attached Notice of Loss and Proof of Claim Form (AB-1), retain a copy for your records and send the original signed form(s) to the insurance company. If you are unable to send the form within the following timeframes, submit it to your insurance company as soon as practicable and explain the reason for the delay. • If your injury is diagnosed as a sprain, strain or whiplash associated disorder I or II, submit this form within 10 days of the accident so that you can access accident benefits described as the "Diagnostic and Treatment Protocols." • If you have other types of injuries, or you choose not to access the accident benefits described as the "Diagnostic and Treatment Protocols", submit the form within 30 days of the accident. 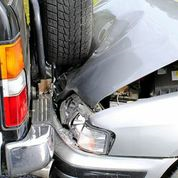 • If a family member is fatally injured in the collision, you can access funeral, grief counselling and death benefits. This form should be submitted within 30 days of the accident. 4. You will be contacted about the benefits you are entitled to receive after the insurance company reviews your completed form. If your insurance company needs any additional information in order to process your application, they will contact you.